Mutual funds can provide you products that can meet your financial goals with relatively lesser risk. In the last article, I spoke about 3 objectives of investing are Safety, Liquidity & Returns (SLR). In this article, we will analyze how we can get SLR & meet our investment objective. I know how to earn but don’t know where and in what to invest? The following quote has helped me answer whenever I had to choose between easy and difficult – “Do what you do best, Outsource the rest”. How do you outsource investment advisory and fund management? Isn’t it too expensive and is available only for those investors who have millions in their bank accounts? I will help you find answers in next few paragraphs. To my mind mutual funds are the best option. 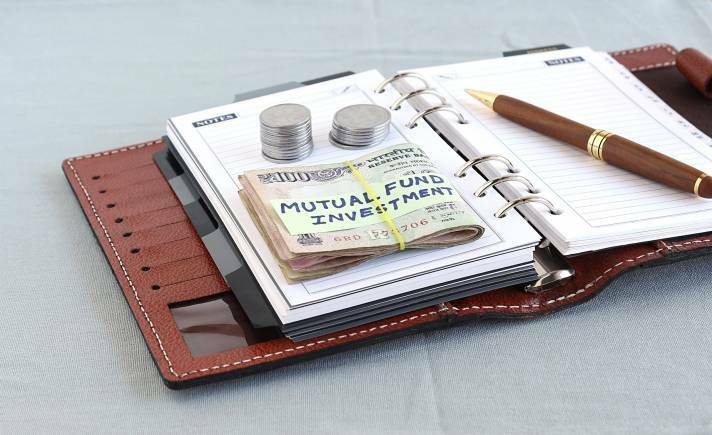 Mutual funds really but why? • Safety: MF offers you to choose the fund that suits your financial goals and risk appetite. • Liquidity: MFs are almost as liquid as your bank deposits and other investment products. You can withdraw and get the money in your account on T+3 days basis, T being the day on which you did the transaction. • Returns: MFs offers you to chose the fund that suits your returns and risk appetite. Historically equity has delivered higher return than any other asset class over a long period of time. As an investor you must consider Real returns (Returns – Income tax – Inflation). • Diversification: Don’t put all eggs in one basket as it increases the risk of breakages. MF allows you to participate in products across investment class and also across various companies and institutions there by spreading your risk and letting you enjoy the benefits of diversification. • Convenience: Once you open an account, that account becomes your identity with the MF. It also allows you to invest at your convenience, withdraw at your convenience, make payments directly through your bank etc. You can start as small as a monthly commitment of Rs.1000. • Outsourcing of fund management: By investing in MF, you are basically outsourcing fund management expertise at a very nominal average total expenses ratio of 2.25% to 1.05% for equity funds and 2.00% to 0.80% for debt funds. • Outsourcing of advisors: There are 43 mutual fund companies and over 1000 schemes to choose from. Imagine the amount of work that is required to find out what suits your financial objective. The best way forward is to consult a financial advisor who will advise based on your financial objective. Isn’t investing in MF risky? Tell me what is not risky. The risk in life starts from the very moment we arrive in this world. Do we stop living? If the answer is no, then how can we stop investing just because we feel it is risky. The good news is that MF provides you product choices across risk and return horizon. You can chose the fund depending on your investment objective and goals. If you are looking at capital appreciation, you can look at equity mutual funds from a long-term horizon. However if your objective is capital preservation and returns that are a bit more than bank deposits, you can look at debt funds. Start embracing risk. Consult an advisor who will help you understand your risk appetite. What are the various categories of funds available for investing? • Equity: Investments are made in equity shares of the company. This is most ideal for those who are looking at capital appreciation. However one should look at an investment horizon of five years and more. • Debt: Investments are being made in fixed income instruments like fixed deposits, bonds, government securities etc. These funds give you a choice of time horizon from 1 week to 2 years depending on you financial objective. • Hybrid funds: These funds give you the best of both the worlds by investing the amount both in equity and debt. Balanced fund is a very good example. This can be a very good starting point if you do not want to invest 100% in equities to start with. You should be looking to invest with a minimum 3 years time horizon. • Gold funds: These funds invest in gold. Smart investors will invest in these funds and not buy physical gold. The fund will give you market related returns. The advantage is that you can always withdraw and buy gold or jewelry whenever you want to. The extra risk and cost of storing, making charges etc. is eliminated. • International funds: You should be introducing geographical diversification in your portfolio. It reduces portfolio risk. You can invest in companies across the globe through these schemes. In near future, we will be able to participate in Real estate and other asset class funds as well. (The writer is Director-Strategic Alliances, MyMoneyKarma and Founder- Disruppt Thinking)Disclaimer: Mutual funds are subject to market risk. Please read offer document before investing. The views expressed above are my personal views and does not represent views of any of the organizations that I represent. Please do share your feedback.